There’s no better way to secure your entry way than a Signature Iron gate. Your family and loved ones can enjoy your front porch in quiet simplicity. This is a gate we manufactured for a home near Queen Creek Arizona. 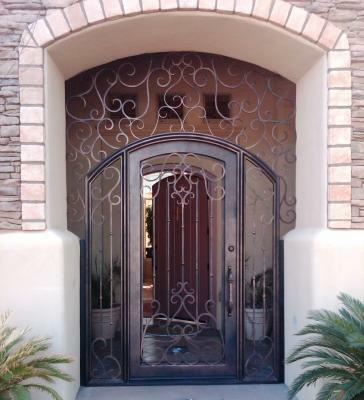 Signature Iron Doors is leading the leading iron door manufacturer in the nation. Located right in Phoenix Arizona, we have technicians assisting families all over the valley. Call us and come visit our showroom to discuss how you can obtain a Signature Iron Gate for your home.